This huge metal monument is slowly being stripped to its concrete skeleton. Built in memory of the Croatian partisan victims of World War II, Petrova Gora stands in remembrance of those who fought bravely against the spread of fascism. However, to enterprising Croat locals all of that is old news and Petrova Gora is simply a convenient source of shiny new building materials. Island wonderland for communist autocrats. Longest fortress system anywhere in Europe. A full figure 4th century incorruptible saint lies in a glass coffin in Croatia. Built in 1981 by Vojin Bakić, the Petrova Gora monument stands 12 stories tall, atop a mountain of the same name. “Petrova Gora” or “Peter’s Mountain” is also home to a system of underground chambers and tunnels which served as both a secret field hospital during WWII and a printing press for the League of Communists of Yugoslavia. The former Yugoslavian countries are full of futuristic brutalist monuments and most of which are under the protection of the Croatian state. However, the Petrova Gora monument has a problem. The site apparently lacks the proper legal documentation and papers, and with no one to protect it the monument has become an easy target for locals looking for free building materials. It has been slowly losing its exterior metal, panel by panel, for years. However, despite the destruction, the monument doesn’t seem to be going anywhere. Underneath all that valuable metal is a huge poured concrete skeleton twisting up the 12 stories like a stretched Guggenheim. It would take quite a bit of effort to destroy the concrete interior, likely more effort than the local government cares to expend, so the monument remains in a permanent state of disassembly. As Croatia has changed, so has the meaning of their monument. This particular monument is no longer seen as a proud reminder of Croatia’s past. 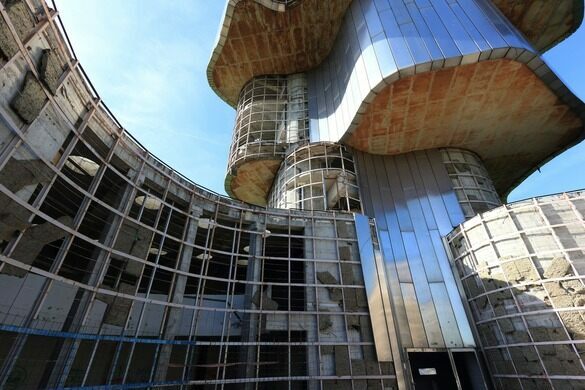 Instead the monument’s current rough appearance mirrors a Croatia primarily interested in building its future, even if it means dismantling its past. However more recently, the monument has found one practical new use. 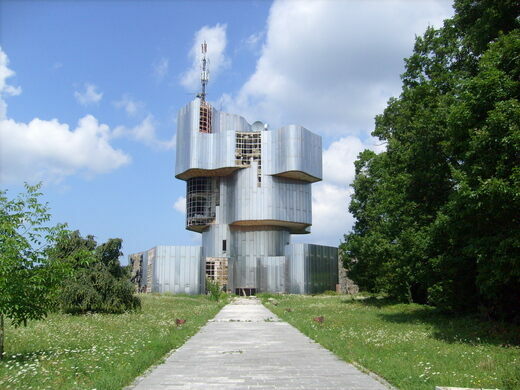 It is used as a broadcasting tower for Croatian Television and T-Mobile service. The actual location is accessible via paved roads. A chain of 16 wondrous lakes formed as a result of the gradual dissolution of soluble layers of bedrock. 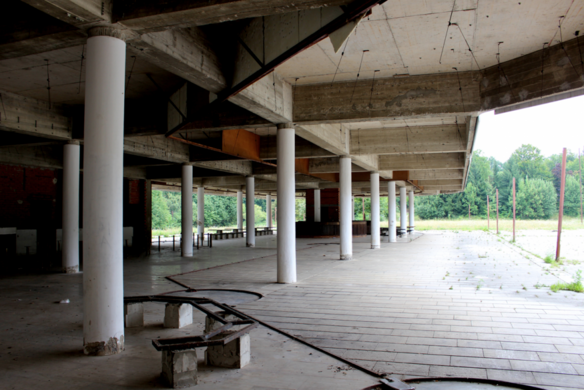 Yugoslavia's biggest underground airport lies in ruins. Curious carved stones and bird-like wings are a symbol of Serbian resilience and freedom on the site of a WWII massacre. 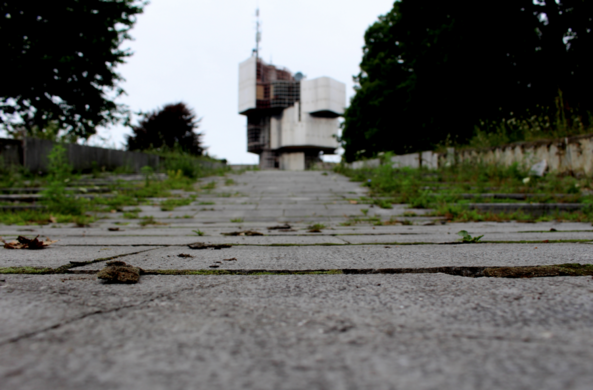 An abandoned monument remembering the "Pančevo Holocaust" now stands as a shadow of its former self.